Imagine the scene: Anfield Rd., Liverpool. 2011. A behemoth red-clad striker plants himself squarely in the centre of the opponent's defensive line, swatting away anxious markers while monitoring his side's build-up play, waiting for the cue to action. The moment finally crystallizes - wide player receiving the ball in space, shaping to strike - the titan in the middle gathering mass into a surging ascendant movement, hauling defenders in his wake like some variation of a deep-sea fishing trip gone very wrong. A massive whipping cross flashes in, destined yet again for the cerebral cortex of the No. 9, every muscle straining across the back-line in a concussive aerial battle for supremacy. Contact is made and... the effort goes wide, it's another corner kick. This pattern of play will be recognizable to even the most casual observer of the game, a tried and true tactic of attacking play designed around the maxim of "get the ball in the box to the big man." Liverpool F.C. (in)famously used it under former Director of Football, Damien Comolli, with Andy Carroll, Stewart Downing and Jose Enrique cast in the obvious roles. But does the ploy actually work? 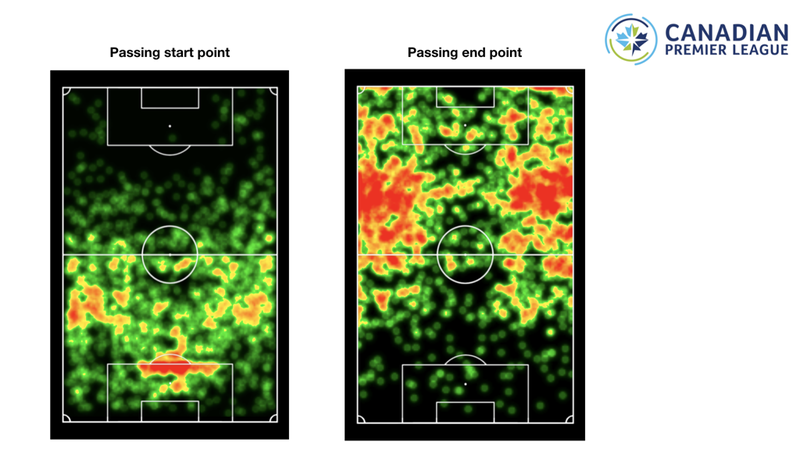 "It depends on a number of factors, but it's been demonstrated that in order for a goal to be scored by this method in the English Premier League, on average 25 - 35 crosses per match need to be sent into the box," said Oliver Gage, Head of On-Field Performance and Recruitment at Canadian Premier League (CPL). "The most successful side ever at crossing the ball to score over the course of a season was Manchester United under Alex Ferguson, and it took them 25 crosses on average to score a goal. They once had 82 crosses in a match and still drew 2-2 with Fulham!" "So Liverpool and Comolli spent hundreds of millions of dollars on a plan that was the worst way to score," he added. "It made sense, in theory, but the premise was wrong." "It's this type of performance analysis - driving better decisions on tactics, player recruitment and development - that will help our coaches in the CPL, and as well through the development funnel of League1." One of the biggest pieces of a new professional soccer industry jigsaw in Canada will be the production and recruitment of top-quality players to fill the ranks of CPL squads going forward. A league policy of having 70 per cent of each team comprised of Canadian players will further spur that production, requiring an ongoing supply of talent from domestic regional-based leagues such as League1 Ontario. 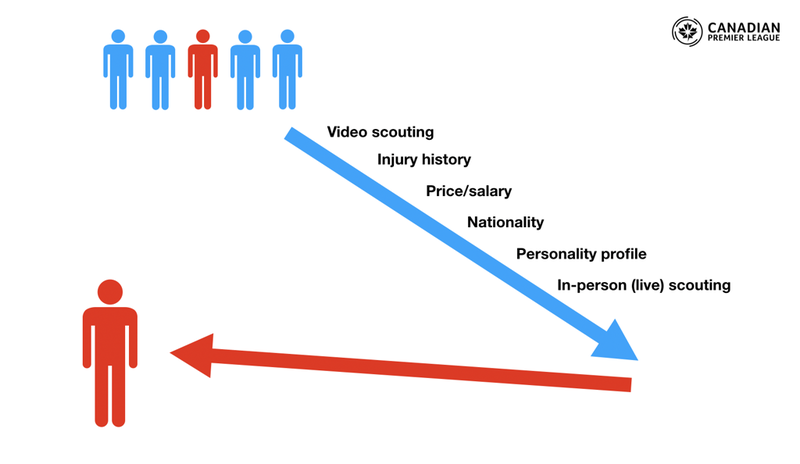 As Gage outlined recently to a room full of curious League1 club head coaches, the areas of recruitment and scouting for CPL, in particular, will be aided exponentially by the introduction of performance analysis tools at the developmental levels below. It's the prime reason why video-based performance analysis will now be applied to all men's division games in League1 Ontario, commencing with the 2019 season. "It's a big thing for us, a really big deal," he said. "We've got a responsibility to help prepare the best players we can. Almost 50 per cent of this country's professional game, whether playing in North America or abroad, comes out of this province." "So it's very important to us that we get to the point where Ontario is producing better players, more players, more consistent players on a regular basis. It's not to say it's not being done, but if Canada is going to get bigger and stronger - Ontario and the other provinces need to as well." Implications for players and coaches are obvious. Upward career movement to a domestic-based fully-professional environment is now a tangible ambition, but so is competition to find one's way to the big show. 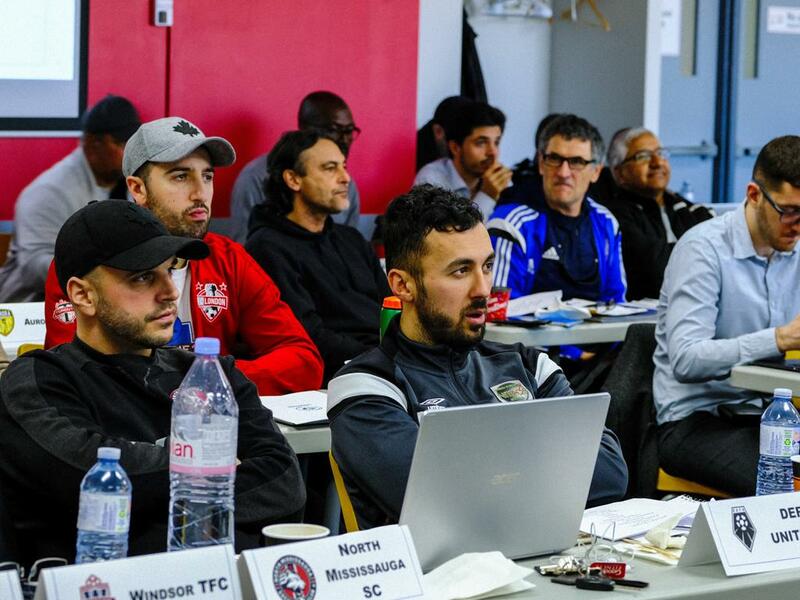 "It's coaches in this room that will likely be among those competing for future CPL technical jobs," Gage explained at the League1 event. "The ongoing question will be where are the top players coming from and who is doing a good job developing them?" "If we're talking about performance analysis, it's about figuring out if we've performed well or if we've performed poorly in a game. If we did perform well or poorly, what did we do that made it this way? Our memories are subject to bias and limitations so we need further tools." With an ongoing player pipeline from the regional-based ranks to the professional game an immediate priority, Gage and his team aren't wasting time in taking a hands-on role providing performance analysis tools, and the education of how to use them, at the League1 level. "If we're going to have long-term sustained development of professionals, we need this structure in place right now," Gage explained. "We need it to make more informed and better decisions, from session-design, team selection, tactics, formation - you name it. " "It's about improving decisions, and that goes for players, coaches, managers and as well those that are recruiting players." A former analyst with English club Sheffield Wednesday and MLS side Houston Dynamo, Gage's implementation of performance analysis tools in both the League1 and CPL environments is breaking new ground in Canada. However, this ground is well-furrowed in the global game. All 92 clubs in the English FA pyramid, for example, have in-house performance analysis departments, as does every club in the MLS. In England, 20 universities have full programs in the field, with top graduates capable of making big salaries at top clubs. 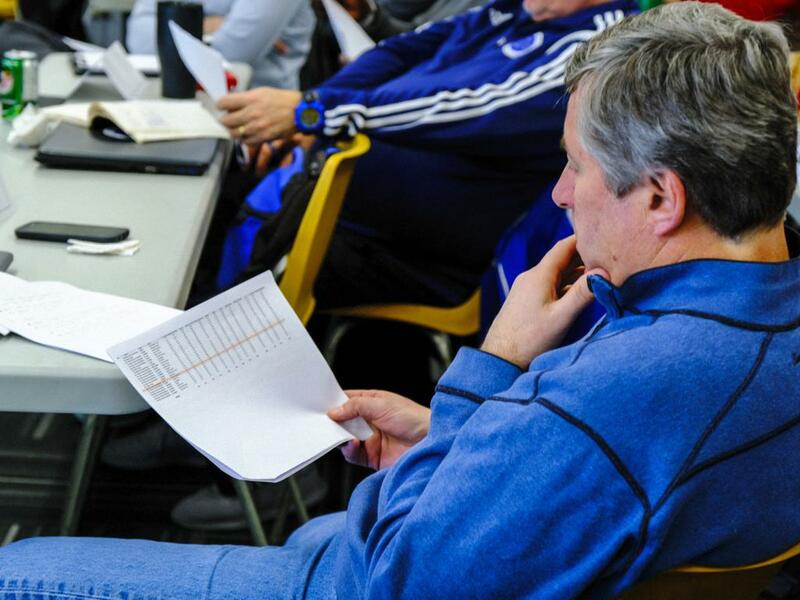 "If we are going to be creating players for the Canadian Premier League, creating players hopefully to play in top European leagues, or players for the Canadian National Team, performance analysis is going to be a part of their every day life," said Gage. "It's happening in academies across Europe, in academies in the MLS, in colleges in the U.S. It's a practice - just like strength and conditioning, psychology, and all other part of the coaching process - that is happening with our counterparts, and players and coaches here need to be doing it if they are going to compete at elite level." By the conclusion of the 2019 season, all League1 men's division and CPL matches will have been broken down by Gage and his team of analysts. They will have an invaluable bed of statistical information available for technical staff at both league and club level, measuring top performing players, coaches, and regions. "This tool will really help identify and then break down a field of 1,000 potential prospects to ten," concluded Gage. "The ten can then be scouted more effectively and we can hopefully uncover the gems that we know are just below the surface."